In the first part of this series, I walked through developing a simple todo API using Ruby on Rails and PostgreSQL using Docker Compose. In this post, I will cover creating a CI/CD pipeline using Codeship Pro. The steps here run in parallel: rspec and rubocop. Running our tests simultaneously works great here, because if either of these tests fail, the build will fail, and saves us some time overall. 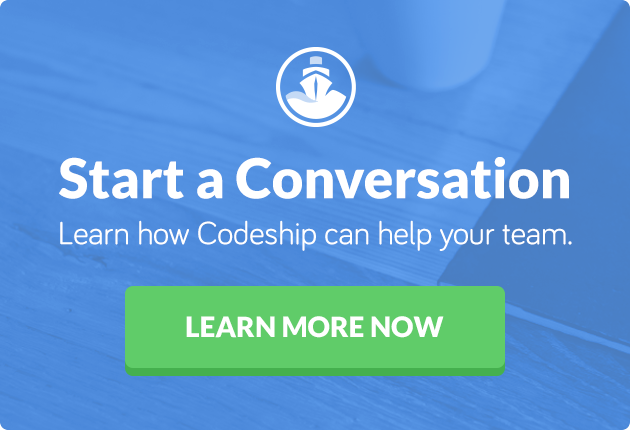 You can find more information on Codeship Pro step types here. I am relying on the pg_isready function to check for the readiness of the postgres database. If it isn’t ready, we sleep for a second and try again. We need to make a small change to the Dockerfile to add the pg_isready function. If you originally signed up with an SCM different than above, we will connect to the service during this step. The image codeship/heroku-deployment has the command codeship_heroku deploy, which accepts two parameters: the path of the files and the name of the Heroku app. In this case, these are /deploy and ruby-rails-todoapp. As long as all tests pass and the branch is master, our code will be deployed to Heroku. The codeship/heroku-deployment image also allows us to run Heroku command line tools as well. In this case, after we have deployed the application, codeship-steps.yml will then perform heroku run --app ruby-rails-todoapp -- bundle exec rake db:migrate to make sure our latest schema is migrated to the Heroku PostgreSQL database.